Who is this programme for? E-LINGO is a part-time two-year post-graduate blended-learning master´s programme leading to a qualification in the teaching of English to young learners. The E-LINGO master´s award also gives access to degree courses in teacher education and research at university level. Do you want to know what former students say about E-LINGO? Do you want to get a brief overview of E-LINGO? E-LINGO is a well-established master´s programme, which has successfully qualified teachers of English for young learners for more than a decade. It has received excellent reviews and has been used as a model for other blended-learning teacher qualification courses. E-LINGO was developed on behalf of the Baden-Württemberg Stiftung. Previous work experience is one of the entry requirements and makes up 60 of the 240 credit points necessary to start the MA programme. A flexible post-graduate programme combining 5 x 2 days of face-to-face teaching sessions on-campus in Freiburg, Germany and distance-learning online. Part-time study allows you to combine academic study with work or other commitments. The majority of the programme is delivered online using the E-LINGO learning platform. Language skills and teaching methodology are developed simultaneously by completing coursework in English, supported by native speakers. participate in a two-week placement in a language classroom. The E-LINGO master´s award is fully Bologna-compatible, which means that it is recognized across Europe and respected world-wide. E-LINGO attracts students from all over the world. The programme enables you to gain insights into a range of teaching contexts and to share your experience with teaching professionals as well as students from diverse backgrounds. E-LINGO has qualified students from all over the world since 2005. Students evaluations have been excellent throughout. Two evaluation studies (Benitt 2015; Zibelius 2015) have confirmed that E-LINGO successfully qualifies students for the teaching of young learners. The University of Education, Freiburg (in German: Pädagogische Hochschule, or PH for short) was founded in 1962 and gained university status in 1971. 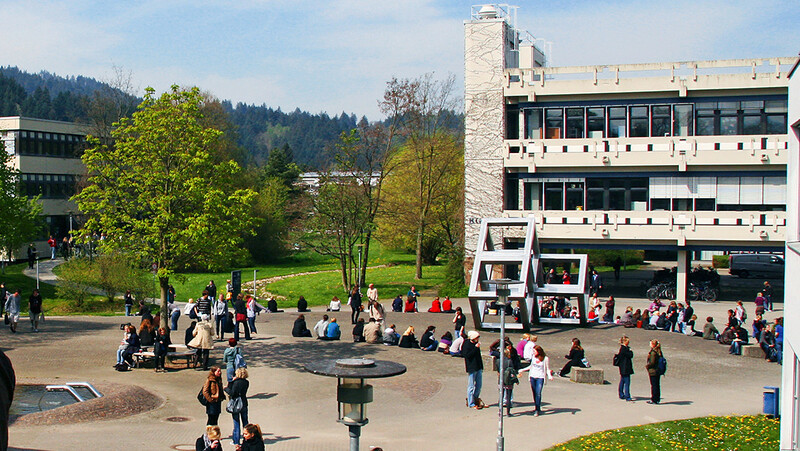 With approximately 4,800 students, it is the largest of six Universities of Education in the federal state of Baden-Württemberg, which is known throughout Germany for the high quality of its education.